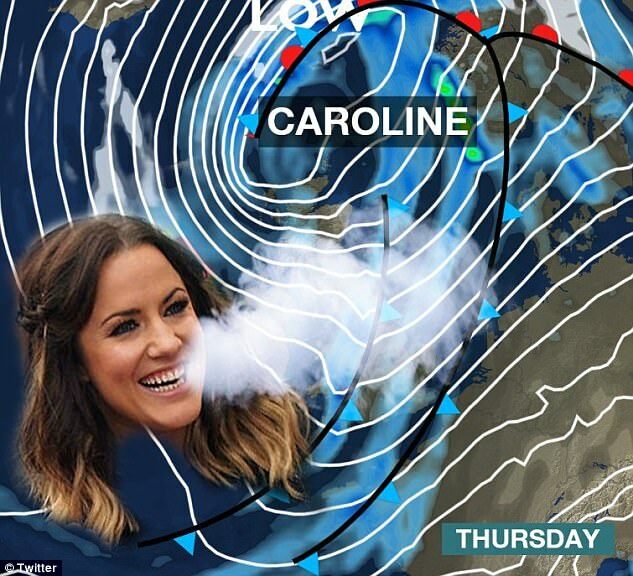 Storm Caroline is lashing the UK, bringing gale force winds of 90mph, snow, sleet and ice. 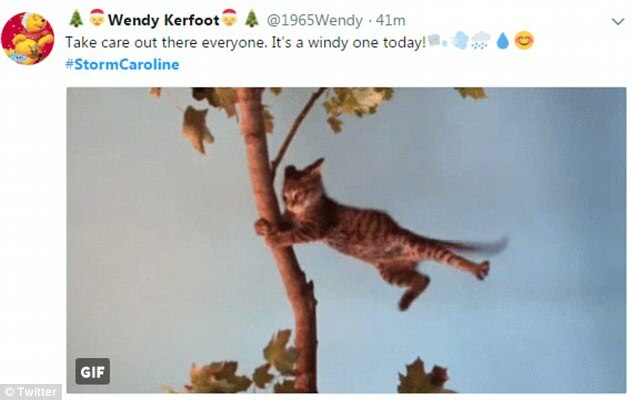 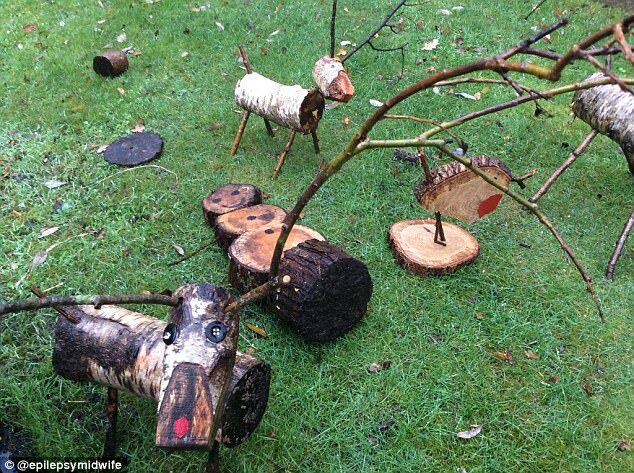 But while the Met Office has issued amber weather warnings and a 'threat to life' amid flying debris, many have poked fun at the storm damage - or lack thereof - in their area. 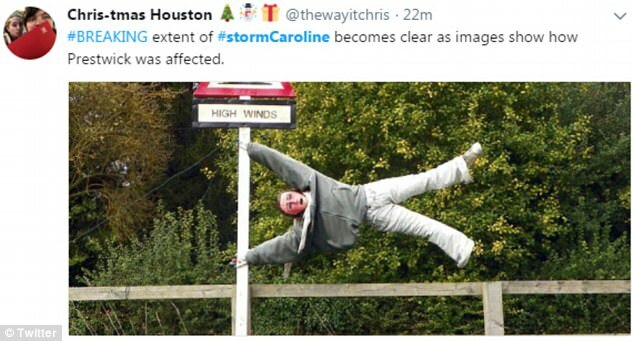 Twitter users have been sharing a series of memes and jokes about Britain’s third named storm of the season. 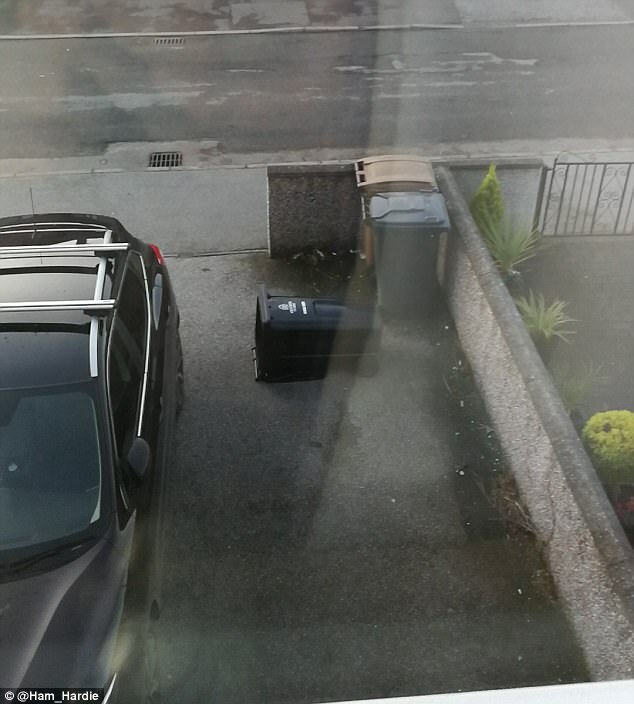 Many on social media have posted photographs of toppled bins and plant pots, while others have likened the scenes to films including Mary Poppins and Singin' In The Rain. 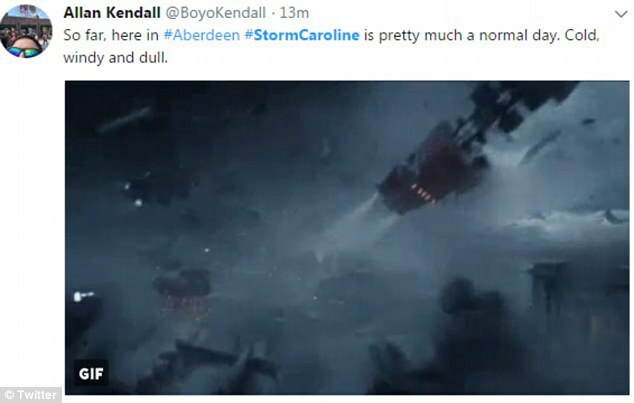 Met Office forecasters say a mixture of sleet and snow showers will work their way across the whole of Britain, with the potential for blizzard conditions in Scotland. 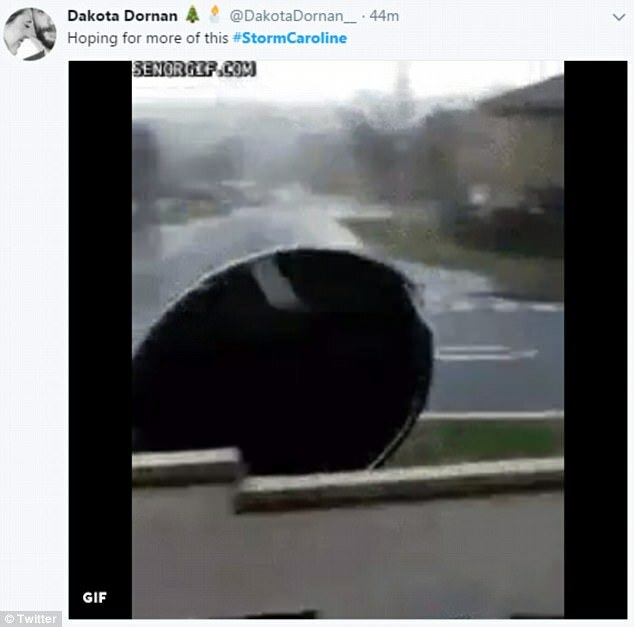 The wintry showers will become more widespread over the next 24 hours, with forecasters also issuing a yellow severe weather warning for snow and ice on Friday. 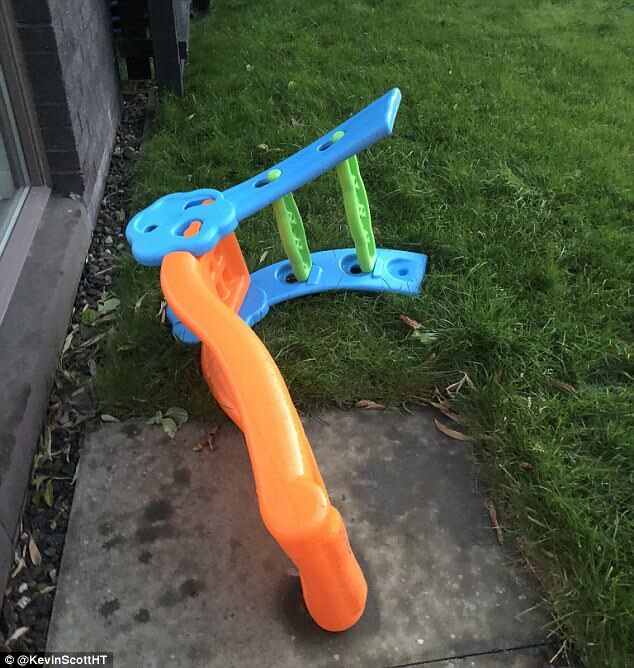 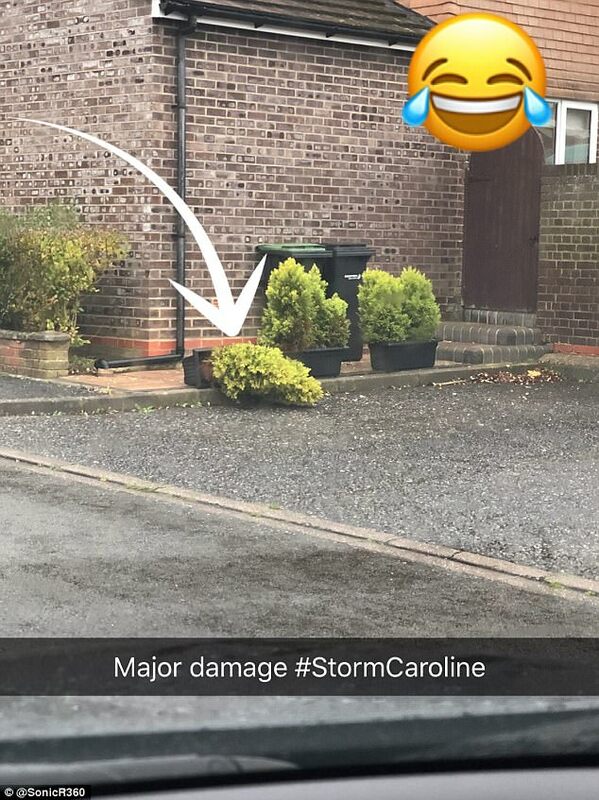 One Twitter user wrote: Storm Caroline approaching, danger to life, take care our snowman has already been blown over and injured?